The federal government has created a fast-track pathway to make it simpler for employer-sponsored workers to gain permanent visas. Great if the conditions of the occupational health and safety are met. The act states that the worker must be able to understand and read safety instructions. Having turned away 15 non english speaking workers away from obtaining Australian certification because of the use of an interpreter to pass instructions on. These persons were from varois lifestyles and education levels are a danger to not just themselves but to other workers and to the possibility of causeing delays in completing projects due to the damage that they cause by not understanding instruction. This can be seen in the large projects in the north of Western Australia. Sino, Karrara, Gorgon, all are using non english speaking workers and are having incidences of breach the OSH act. the companies are covering up by not reporting incidences to authorities, they send the individuals affected back home to avoid procicution. Why don't we spend the effort on training our under employed in up skilling rather than importing poor skill levels and the risk of poor quality work. It seems that the old money talks and the wool is pulled over our eyes to make money for the few and export our money to other countries. We dont see the other counties importing our skilled labour to do work in their countries in large numbers. 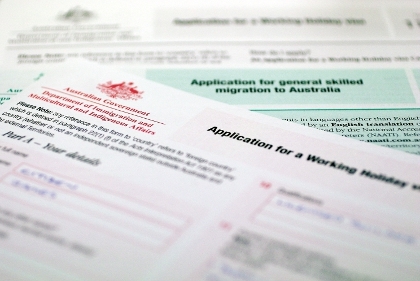 As I an in Irish citizen,am planning to migrate to Australia soon, when I have completed all my welding certs,have vested interests in ye're immigration policies.I believe the standards ye have are much better than in europe as regards gaining entry.Although it may make the process a bit longer for me when I start to apply for jobs,I am happy to know that I am going to a country that has high values on views for the future.There is a hope in me that Australia will continue to thrive but at a sustainable rate and that the higher social standards of an educated and cultured immigrant community stays the norm,as to avoid as much racial/political issues as possible.Ignorance,criminal mentality and lack of ambition breeds only that. Yours, Patrick Webb. It seems that the government is about to make another serious blunder that is likely to end in a death or maiming of either an Australian or the migrant worker. Adding to this there are enviromental concerns, many migrants come from countries where the core of the population have no respect for thier environment. If they are working in our country especilally in an industrial situation they absolutely need to speak english. Who are these people that dont understand the impact of thier decisions ?